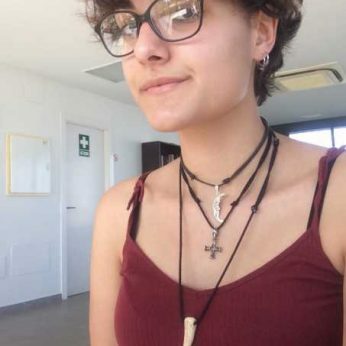 Dear family, I am a spanish young woman of 20 years who likes childrens and I would like to live new adventures. I was born in Cuba, but I grew up in Spain. My family is really cares about me and is loving. I am an open minded person and I am responsible, serious and hardworking . My hobbies are drawing, playing the guitar and writing; I love art in general. I am good whith children, Inlike to have fun with then and theach them and I have a lot of patience. And as an experience, I can say that I have been a child’s nanny for three years. I want to work as aupair because it’s a way of working on something that I like and the same time that I know a country and its culture. Also, it can be good to improve my english, which honestly, is not very fluent. In short, I want to leave my confort zone. I know how to clean and cook. My hobbies are drawing, playing the guitar, writing, reading, take walks in nature and be with my friends. I have been a child's nanny for three years.